Sorema with 40 years of experience has become a worldwide leader in the design, construction and installation of plastics recycling plants. This activity covers all main steps of the turn key project, from Engineering, Procurement and machine construction to the complete installation and plant startup. Since the early years of his activity, Sorema developed strategic associations with customers around the world. This activity was mostly requested by the local entrepreneurs to secure the success of the project. 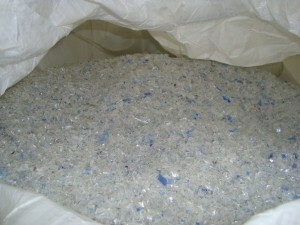 Following this strategical activity among other existing joint venture, Sorema has recently joined Perpetual Recycling Solution in US – Indiana. This company, already built using Sorema wash line, is also equipped with machinery from other suppliers: in the feeding area, the sorting area, etc. One of the target of this project for Sorema will be the harmonization of the components changing and / or adding Sorema design-modules to obtain a fully integrated process. This activity which foreseen multiple steps of implementation (improvement of the quality and the capacity) also considering the optimization of the yield as the main objective of the intervention. The yield improvement should also be found in the recovery of the byproducts which includes PET fines, HDPE, labels, trays, etc. Provide higher added values to materials which drop significantly due to the reduced international demand. Reduce the cost of waste material disposal. Provide higher grade of flexibility on the input material acceptance due to the natural variability of the bale composition. 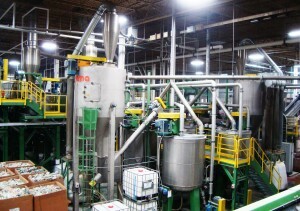 Improve the overall profitability of the mechanical recycling process. This experience, once the project is completed, should prove the consistency of the Sorema strategy. To offer an integrated technical solution with the best yield efficiency. These advantages can also be integrated by the activity of the new Sorema division (S.A.M. – Sorema assistant and management) which can provide the start up of the new project including the training of the operators, the definition of the production’s procedures, reaching higher manufacturing performance and for quality control (Q.C. ), maintenance, logistic, etc, all integrated in a dedicated ERP. The Perpetual Recycling Solution challenge is already providing positive results which according with the expectation of the all the partners and after the completion of the program, should become the high manufacturing performance model for the recycling industry in North America.